This is bold prediction, but it’s clear to me that over the next several years, the standalone still camera will disappear from the hands of everyone – with the exception of a few high end professionals. Professional photographers (if they still exist then… and I think many, or to be honest some will) will continue to make photographs with DSLR/ Medium format and perhaps mirrorless still cameras – but the vast majority of photographers will continue the exodus towards smartphones. The smartphones and/or iPhones have already won. I’ve been a photographer for 25 years now. I learned on black and white film and transferred to C-41 and then Chrome E-6. I was classically trained in a black and white darkroom and in color reversal and cibachrome printing. I was also one of the first staff photographers at The New York Times to shoot with then high-end digital cameras in 1999 – the $22,000 Canon D2000s. Just two days ago, a friend (an amateur) and I went out to photograph with our still cameras and our iPhones. He had a Sony A7s, and I had a Leica M9. I also had access to a Pentax medium format 50 MP camera at the time. 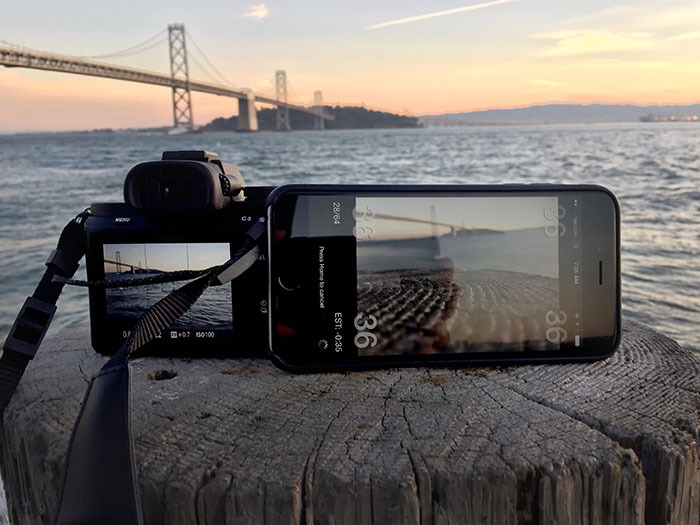 Here’s what happened: my Leica M9 and his Sony A7s literally served as extremely expensive STANDS for the iPhones – to prop them up as we photographed a series of time lapses, stills, videos and slow motion videos over several hours. The key take away here isn’t that iPhones are BETTER than still cameras. Not by a long shot. Let me repeat that again: iPhones and Smartphones are not better cameras by any stretch of the imagination to still cameras with specialized lenses. The key is that the software on those smartphones, and the social media platforms and instant connection to the web – ARE BETTER and cannot be overcome by camera companies that fail to integrate software within their camera bodies going forward. And you can’t ignore the single most important factor: you always have your phone with you. And another HUGE factor: who wants to stick a CF/SD card in a computer, import, edit, tone, export, share / publish a website anymore – when you can do the same thing in 1-3 clicks of your thumb on a Smartphone? The battle is over… the smartphones and iOSs have won. The quality is good enough on a smartphone/iPhone today, that when combined with software the need for a dedicated still camera can appear to be a burden to the majority of people out there: unless they have a specific technical need that only a DSLR or speciality lenses can offer. The technological trends and shift towards digital and now smartphones that are connected to the web, are undeniably the most important factors at play here: we’re all gotten used to having a $300-$900 mini computer on us at ALL times, and you can’t compete with a tool that is glued to your end-user… no camera company can compete with that, and they simply haven’t even tried to put editing/social media software into their cameras, which is a potentially devastating oversight long term. Long story short: most companies are going to stop catering to the professional high end market. The market has changed enough in the past years so significantly, that’s it’s more likely that the average user is following a YouTube user you may never have heard of – as opposed to a highly decorated and respected professional photographer who is an “Ambassador” for a specific brand. We should all be paying attention to this trend… Brands follow the clicks and traffic – end of story. Today is all about “ROI” or “Return on Investment” or clicks that can be tracked and quantified. Long gone are the days of the National Geographic Ads where David Doubilet did ads for Rolex… most people don’t seem to care anymore as to which publication you work for or what your long work history is: they just want to know what the coolest thing you did LAST WEEK that they can distract themselves with. So why does this matter to the professional? Well it all started years ago, and one example is Apple’s relation to “Pro Apps” over the past few years in many ways – although recently Apple has retraced its steps a bit, you’ll notice that there isn’t a clear focus from that company on what are termed “Pro Apps” (as I said they are putting a LOT of attention into Final Cut X for example) but you may have noticed that Aperture was laid to rest late last year – which was terribly sad for me on a number of levels. Now Apple is focusing on the OS X “Photo” App – which they are putting a lot of work into, but not claiming should be a replacement for Aperture or necessarily a “Pro” oriented App. And frankly it makes a lot of sense for Apple to do so, they are making their money off of iOS – look at the graph below from this article, it’s fascinating. You should be seeing that “Pro Apps” income is almost non existent (obviously if they stop selling the apps… the income will naturally dwindle) but look at where it’s going! 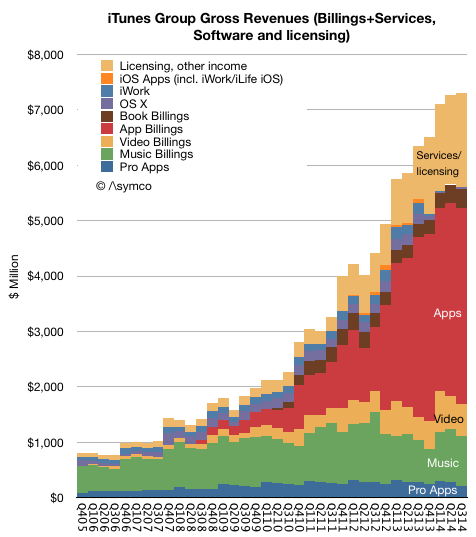 10 BILLION in apps… pay attention. So what does that mean for Camera manufacturers? Well simply put: they don’t make their money from “us” the “professionals.” Never have, and definitely never will. Until recently they made it from the larger portion of the pyramid of pro-ams, and amateurs who wanted to emulated the “pros” on the top of said pyramid. As people migrate towards Smartphones and new devices, there is going to be very, VERY little incentive for them to put the hundreds of millions of dollars into R&D into flagship high end DSLRs etc cameras that cater to the needs of the pros (a very small number on the “top” of that pyramid). This may be a great camera: but most people have already moved on in my opinion. They care more about new apps, new social media trends, new techniques and tricks with their EXISTING cameras, and the new gadget tech companies might next release on your wrist or whatever they’ll come up with next. I and many other professionals will likely (definitely) continue to use high end professional cameras for years to come, for example there is NO OTHER TOOL than the high end cameras that could have captured the images at night that I shot for the project “AIR” from a helicopter series recently. It should be noted that those images led to very little when they were published in the magazine they were shot for… not a single call or email. But that once those images were published on a new platform called “Storehouse” it lead to thousands of e-mails, millions of views, and a year-long-worldwide project… times area a’chaning! But some of you may have also have noticed that Apple released a patent to a camera that looked a heck of a lot like a “GoPro” a few weeks ago… and GoPro’s stock fell precipitously as a result. It may have just been one of MANY patents Apple files routinely that never lead to anything that we see for years, or never goes to market. But who knows what they are working on in the future and how they will integrate photography: you can see it’s an INTEGRAL part of who they are and what the phone does today. I have a hard time imagining an Apple camera right now: but if they were to, I can see it having a bigger impact and interesting a greater MASS of people significantly more than say: a 200 megapixel camera. And that’s the point: it’s not necessarily about the search for the BEST camera, it’s the challenge to make the MOST POPULAR and WIDELY ADOPTED camera. And the Smartphones have already won that battle. So as you like;y continue to see the camera market shrink in the next few years, (remember those things called “Point and Shoot” cameras that we used to buy just a few years ago that you don’t ever see anymore…) you’ll hopefully better understand that pros are going to increasingly become a niche market. Long gone will be the days of huge conventions with massive camera manufacturer booths. To be clear, I don’t wish this at all, but it’s so clearly evident to me that I wanted to put it down in writing for others to consider. I made a similar prediction about the print industry in 2008 in a blog post called “The Cloud is Falling.” At the time I left a cozy staff photographer job at The New York Times (perhaps a little prematurely) as I saw that the model wasn’t sustainable. I had some colleagues literally call me “crazy” or “stupid” to my face. I know see them taking buyouts every quarter… and trust me I feel absolutely nothing good about having been “right.” At this point: I see the same thing happening here with cameras over the next 2-5 years unfortunately. And this is worth repeating: the point of this article is to point out how the MAJORITY of our habits are changing… it doesn’t really matter what tools “professionals” want to use, this is not a discussion about the tools they “should be” using. The point is a larger one: as camera companies follow the market and trends, focusing on the professional market – which has been the mainstay of the business model for decades – will become harder and harder to justify. And that will end up affecting professionals both directly and indirectly: regardless of the choices that THEY make in the tools that they want to use. Don’t forget that a company’s “raison d’être” isn’t to make you happy… it’s to stay in business and to follow the money. A mere five minutes study of the stock market should confirm that to any naysayer. “Evolve or die” is definitely becoming the battle cry of the day. As long as you keep an open mind and see new opportunities that are popping up out there every day due to new ideas and technologies – you will be fine! And if you see opportunity instead of feeling nostalgic – you may end up doing really, really well actually. Good piece. Plenty of us said this 3 or 4 years ago but it’s nice to see prominent voices in the industry catching up. @Gerardo Campos, that’s a terrible idea in it’s present state — something else will evolve instead. The same thing could be accomplished by simply installing a cell phone into a point & shoot camera. Keep in mind, ALL point & shoot digital cameras are “mirror-less,” too….! I’d go one step further and say that in the next 10 years a lot of types of photography will simply disappear because they are no longer financially viable. The reason for this is the perceived destruction of value of quality photography. I can already see it in some areas today. People take a couple of good photos on their iPhone and proclaim photography is easy and that they don’t understand why a professional photographer costs to much to create 5 or 10 quality images. It doesn’t matter how much you explain what goes into a producing a quality set of photos on demand in their mind it overvalued. Overvalued to the point where the budgets they come back with are below the basic costs or running the business. @Tom, the bulk of images has always been taken by the general public, and that’s what kept Kodak going until they ran into digital. Images no longer needed to be wet processed and the amount of digital images has skyrocketed. On the other hand, the general public merely “take” pictures — they do NOT make images — that requires a totally different set of creativity produced on a consistent level. The current state of advertising images are, in my humble opinion, fair to terrible, and hopefully the tide of creativity will return to raise all boats. No doubt in my mind the age of the compact will soon be over. Replaced by phone accesories and apps. And pro cameras will have phone functionality as a convinience. The future is now. Well that was a bit premature – but he was right … It’s all about timing. I think the technology on Smartphones has caught up to the point where the masses no longer see the need for a dedicated still camera for most of them… as of this year – not to mention the software. And given the push back that I’m getting, believe me… it does qualify as “bold” to some. Well said; certainly a valid prophesy of the future. But, perhaps there’s a silver lining. There will continue to be companies that need a “big picture,” taken with a specialty lens. And if the only ones who will have the ability and hardware to do this are “professionals,” then there may be a niche market for us and our ilk. Indeed. I’ve been keeping a log on the inevitable demise of most stand alone cameras: http://www.zmetro.com i6s/ Canon & Nikon dig their hole deeper daily by ignoring the software opportunities Vincent mentioned. It is too late for them. Sony, Panasonic and Ricoh deserve a mention as they have rightly recognized the “camera as iPhone peripheral” opportunity. @Jim Zellmer, Those were terrible. They predicted that radio would kill newspapers, the cinema would kill radio, that TV would kill cinema, that the internet would kill TV. Seriously this is not news and yes for the vast majority cell phone cameras are fine but for hobby photographers and professionals the iphone is a joke, no REAL lens choice, limited exposure control, limited control of depth of field etc. If your going to write articles like this stop being lazy. Interesting, and I agree with most of it. 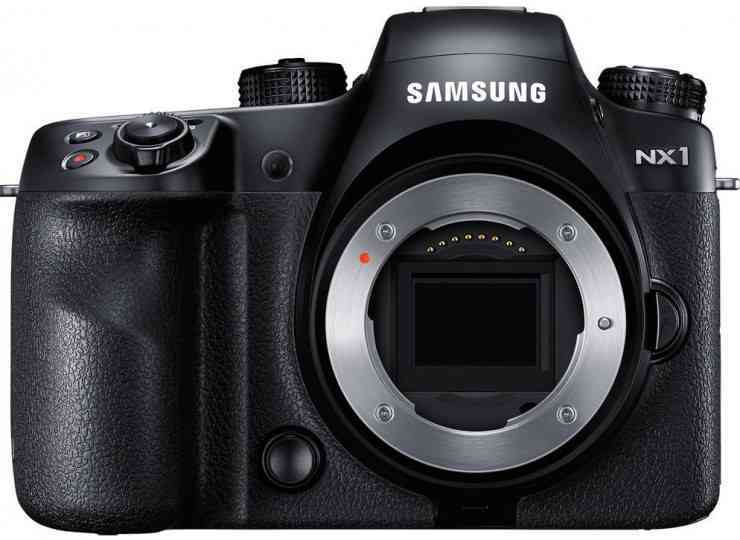 The Samsung NX1 comments surprise me, as Samsung is making a huge push into this market. What you’re forgetting is that Samsung is a giant in the smartphone industry, and I’ll predict, their future NX models will have the exact integration you speak of…Apps for color correction, image manipulation, built right into the camera. Images from the NX1 can already be sent via a wifi connect. I have no doubt Samsung will offer those images be sent via your cell service. Check mate! 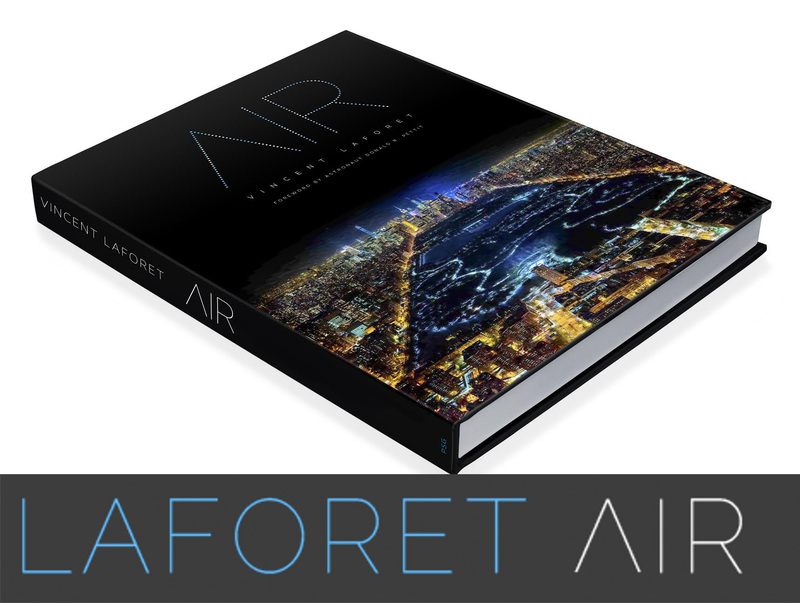 @Vincent Laforet, Me three! I predict this with two things in mind, first, Samsung came out of the gate with their first Flagship mirror less that is the most technologically advanced APS-C sized senosr on the market, as of this writing. Second, they’ve done what none of the other, big 3, have done, and that is listen to their end users needs and actually provide those needs extremely fast. They’re not just putting those needs into another model, Samsung is providing Firmware updates to better this particular product. I don’t know of any other company that has provided 3 firmware updates in 3 months, do you? Rumor is, Samsung is going to continue these updates 1 every month. I’m telling you, look out for Samsung, IMO, they have a plan, and they’re going to make this corner of the market extremely interesting! What’s a “real pro,” and who ultimately determines, or bestows, somebody with a camera and some lenses that title…? How did the vast majority of us become professional photographers…? Professional photographers do NOT need a license or training or apprenticeship — we simply need clients who purchase or lease our images, buy our books, attend our workshops, seminars, and lectures on a consistent basis because they like our creativity, talent, and skill set. Other than that, the only organization that has the legal right to call any of us a “professional photographer” is the US Department of the Treasury — Internal Revenue Service. If you earn 51% of your total gross income from photography, and made a profit in two out of five years — you are a Professional Photographer — otherwise it’s a hobby. Can I just point out that an iPhone is a smartphone. The article seems to be suggesting that it is something separate. They are. iPhones are a category onto themselves – sorry. When you look at the stats you should agree… plus I think the term smartphone is antiquated. 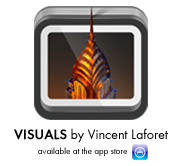 @Vincent Laforet, I’m afraid you’re going to have to explain how an iPhone is different from say, an Android, Blackberry, WinPhone etc. They all do exactly the same thing: communicate, take snaps and run apps. The iPhone is culturally dominant in the USA because of how the telco market was formed, but in the rest of the world it’s just one of many very similar high end options. We’ll agree to disagree then… Amongst creatives there really isn’t much discussion: the VAST majority are using iPhones… it’s not a snobbery thing at all mind you. I just know that maybe less than 10% of the people I hang out with are on Android even though I know that a much bigger chunk of the world is. Fair enough? Of all of the DPs / Directors / Photographers I work with – I can name 2 out of of over 100 that are no on iPhones… and it actually causes issues here and there w/ software collaboration here and there – that’s how dominant iPhones are in the creative industry. Silly – but true. 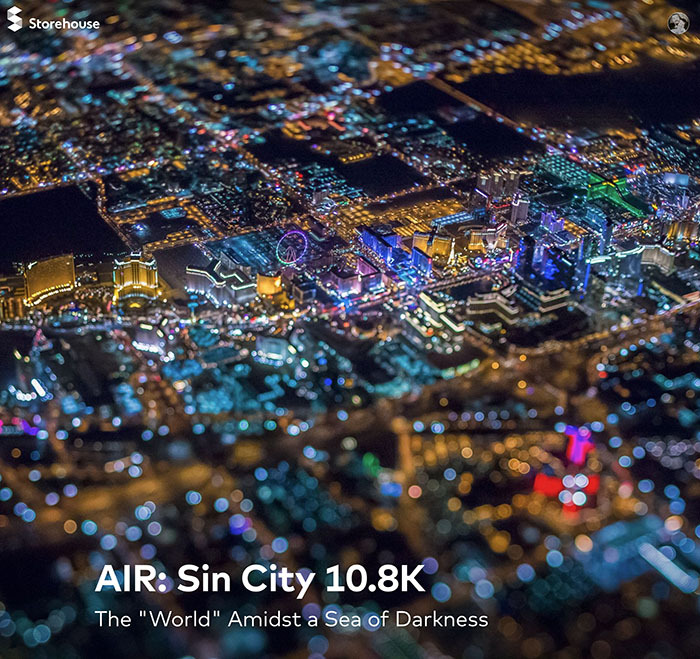 @Vincent Laforet, A triumph of marketing like the whole creatives use Macs thing. 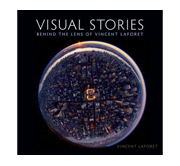 @Vincent Laforet, that is where you are wrong. While word “smartphone” is stupid, as it is just a PDA (APPLE invention) + mobile phone, there is nothing “smart” in them, just a normal computer. But iPhones can’t be separated from smart phones, it is like saying “Canon 5D / DSLR” . EVEYONE knew that camera phones will kill pocket cameras, and people has been buying DSLR because thinking they get better photos because that. Now the smartphones has cameras that beat the pocket cameras and DSLR or ILC in hands of any amateur, because easy to learn. But DSLR is dead, it is dead because 135 format. Olympus knew it and made new 4/3 format what is superior to 135 by many ways. The DSLR problem was to stick in 135 format, in the legacy. And believe that nothing changes. Well, smart phones replaces pocket cameras, but not small mirrorless. Small mirrorless like m4/3 will do to DSLR and especially 135 format what 135 format did to 120 format, and mirrorless will do to DSLR what DSLR did to SLR. Most people will always use pocket cameras, in this case smart phones. Smaller group will have dedicated pocket camera, and professionals will get m4/3 eventually. The photography has already changed, cameras are connected to internet via smartphone, you just mark photo in camera to be transmitted and it will automatically get uploaded to your flickr page. There will always be small group using a film cameras and DSLR, most moving along. But always there will be professional photography, but not in news as internet changed that, not DSLR or smartphones. The internet was the game changer, and it was for many business. No more need to get own photographer to event and back with film rolls, when someone sends you a copies over internet and you post to sites. The film stores went down because people didn’t print anymore, it was a requirement. Digital photos can be viewed but not really liked like with prints. Yet there are stores doing prints. Thanks to internet because you can send them from anywhere to be printed. The photographers has been lucky for some time. But now they need to wakeup to reality, especially news photographers who have been blind for decades what will happen. They have followed the world way too close, without seeing the big picture. But there comes time back when photographers are wanted back, it takes little time but someone will see the value in good photos. But those DSLR shooters shooting in P/A/S modes are just the ones who caused really their own problems. It’s but one step behind… the key difference is that movies (for now) are still consumed in state of the art multiplexes… and that video has not QUITE been commoditized as photography has… due to the edit process it is inherently more complex and less prone to be done “by the masses.” For now at least. Technology forces change. When film was king, there was Kodachrome, then came E-6. There were large type houses and companies making a living selling slide shows. These all died in the digital era. So it will be with pro cameras, but there will always be the professional, just the tools will change. The skills needed to take a great photo, shoot a fantastic movie will still have to be developed and trained. Light will still have to be captured and controlled. Remember when people cried foul at the use of Photoshop? Tools will always be changing, but the skills to use them will not. We move forward or we get stuck in the mud. Smaller, lighter, faster, easier to use. The Kodak Brownie changed the world then. So it should be with new technology. After all, a great photo will always be a great photo. No matter what it came off be it pinhole camera or the latest cell phone. So those of you who take your skills seriously, who know the value of your work, you will always be more than just an amateur. You will always be a professional even if your gear is within the reach of everyone. What the ILC makers can do is publish a mobile API to their cameras. Olympus already has a mobile app remote for the later OMD’s – now, just publish the API so we can write Android/iOS apps to fill in the blanks. cell phone cams have increased the number of photos published, but they haven’t increased the quality. There will always be a segment that wants something better than a phone photo, just like there was a segment that wanted something better than a film P&S. The market will shrink to the pre-tech toy days before 2000, but it won’t go away. Today is a return to film times – it’s the last 2000-2012 time frame, when everyone was buying a DSLR, that was the outlier. I do agree that C/N had better get off their duffs and start innovating – the not-so-niche-players are leaving them in the dust when it comes to technical advancement. Valid points and argument, Vincent. The only thing I think is not as worrying about it is that photography with “big” cameras used to be just pros and hobbyists, and it could return to that. R&D would suffer a bit, and pro camera pricing would likely go up, without the amateur and prosumer market to test features on, but overall the market for advanced cameras would still exist and for people who put the time and effort into learning and developing the art and craft of professional imaging, there will still be tools. They just might not be as mass produced and marketed. I think you’ve nailed it! We used to laugh at people who wanted us to put their cell phone video on local TV news, but now (unless they shoot vertically) we don’t even blink when someone emails iPhone video to the station. I still use a $40,000 video camera every day, but I also supplement my stories with my iPhone. I can double shoot with both cameras and upload video to my TV station, our web properties, and social media outlets before a live truck is on scene. 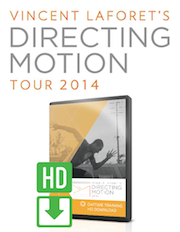 I think viewers still want quality, and this is just another tool for the professionals. Ive been in the photography and motion picture business for 30 years, we innovate new lenses and cameras constantly and push technology to the limit but sometimes I roll my eyes at the nonsense on blogs. Unless using 6K, 8K etc for oversampling pray tell me how are we going to view the resolution? Most multiplexes have screens with a 55ft diagonal to see 4K you need to be in the first three rows, to see 6K or god forbid 8K you would need to be in no mans land between the screen & seats. The measures need to be bit depth, colorimagery & dynamic range not resolution 4K is totally misleading. Doing this stuff for a living Ive yet to be asked for an iPhone, barely get asked for Gopros or even Canon C300s. In stills we still see the majority of food shot on large format and gigs etc shot on Canon 5D MKIII or Nikon D800 etc. Our sales of filters to DSLR users have been at all time highs. As for photography disappearing on what measure is this based the decline of p&s cameras, the normalisation of DSLR sales? We view data monthly from companies like GfK nothing points to this. You clearly did not read the article – I am not talking about the high end. But what consumers are using. Read the article carefully before you waste all of our time. I read the article carefully and I stand by what I said. Thousands of hobbiests those that belong to camera clubs, you can see at Portland Bill early for dawn shots or on Dartmoor in the freezing cold are NOT professionals but they are very capable photographers you dont see them using iPhones. Technology has changed the cost of making high end cameras they are cheaper to manufacture and with 3D printers numbers in the low thousands globally can be profitable. Funny I read Laurence Zankowski note and the studios are pushing like mad for 65mm / 70mm they WANT something different. I guess Im the luddite but I was right about the dot com bubble christ some people have even gone back to B&W film. So, what all those millions of photo enthusiasts from around the world will be shooting with? Those millions and millions of enthusiasts who are buying professional or prosumer cameras? I was a Nikon user, now they sit, I think I am just going to sell them for pennies! I hate the whole limiting factor of these things. I have an iPhone 6plus that just boggles my mind! What apps are being created for these devices now and in the future, especially with the Apple Watch ready to make its commercial debut. Started shooting digital with a quicktake100 and while being the new media tech at New Mass Media Newspaper Chain, I got 30+ quick take 200s for the staff back in 97-98. the pushback was brutal. oh well. Anyhow, the big issue no one is talking about is the whole idea of lenses. What will happen to the Leica /Zeiss lenses when they are no longer needed ( was a contract photographer for USAF and had some interesting convos with brilliant folks who do the astro physics / high order math thing). Lenses are ripe for disruption, as is the whole sensor as we know it, plus, audio acquisition. This is to point to the 5 -10 year future casting of digital acquisition. So, glass maybe king, but I don’t see it that way in the coming decades. Just saw the background piece on modern family, crazy how fast some of this is moving. You had just done the Revillie piece and I was part of the short “the Wait” ( which you complimented me on ) shot on a 7d with Zeiss /Arri Master / Ultra Primes lenses that were in the tens of thousands on a camera that was $1500. Shot HD or some aspect of HD, now who cares. How it stands, I think this article has clarified my thoughts on camera purchases. I was looking at SONY, Fuji, Panasonic Cameras. For certain projects I do, the SONY A7 series line looks to me to be the last camera body kit i will get. ( will see how this goes).I am seriously thinking about how to up my game with the iPhone as a primary tool. Along with the iPad 2Air as editing platform. Would love to learn more from you and your experience with the time lapse feature you were shooting. Did the iPhone meet your expectations? Any weirdness that showed up? how long did you shoot for? I whole heartedly agree with most of this. And I really hate that guy ROI. The funny thing is that I tell all my friends this and all my students in my one on one camera basics classes. “Smartphones aren’t that bad, in fact they’re amazing for sharing and putting stuff online where people can see it.” Traditional photo and video gear is just really clunky in its workflow and require a person to *fall in love* with the process of offloading, ingesting, editing, then sharing (oftentimes via our mobile phones like for Instagram). It’s not amazing how camera manufacturers such as Canon and Nikon cannot wrap their head around technology and sharing works today, the execs are old, stale, and unwavering. I was listening to NPR today regarding how Kodak and Polaroid were so invested in the silver halide and the instant film processes that even though they had a chance to change to digital, they still decided to grasp onto their old ways. My worry is that eventually we’ll be left with the last DSLR and the last Medium format, the last roll of C41, the last roll of Pan F 50, or the last FP100c. Makes me cry inside man. The way things are going with those companies, that’s definitely going to be the case. The last few serious hobbyists and true professionals will be the holders of those pro cameras. The DSLRs are going to eventually cost as much as Hasselblads and we’ll have only one remaining camera system with no AF to work with. Eventually laptops will give way to heads up displays and the like. The future is going to be so weird. I really have to disagree with this, it’s kind of upsetting. People use smart phone cameras because they are convenient, they already have it, and they have a misunderstanding of what makes a good photo. They don’t use them because of of the quality. They get a 10 or 15 megapixel smart phone and they think that number is all that matters, why buy a point and shoot right? Very rarely do you get actual timeless photos from a smart phone, you either get some compressed jpeg that looks like crap, a blurry photo, or something that has 6 instragram “polaroid” filters added to it. The photos I take on my phone, or the photos any of my family or friends take on their phones are junk, they are not timeless. A blurry smart phone photo of a child’s birthday is a tragedy when a film photo from 20 or 30 years earlier is far superior. It’s really quite sad to think of all the memories that are being lost because of this trend. Now maybe one day Apple and Samsung will develop a phone with a large photo sensor, an integrated zoom lens, and a processor that can handle indoor photography and produce noise free crisp photos every time. We might get something that looks like a point and shoot camera photo. It will never match micro 4/3, or 35mm/DSLR. I think that promoting the idea that smart phones are just fine for photography is wrong. We should be pushing for better images, pushing the consumers to take better images, not settle for junk. Honestly, I think the question is a little ill-formed. The question is much more along the lines of how big of a market niche will be willing to pay how much for what size and quality of camera. There is clearly a “smartphone” majority, but at say a $300 price point, I think there is a real market for an RX100-class camera as long as it is seamless to get the photos into the phone and then share them just like you would phone photos. From there there is the APS-C f/1.8 market and after that the Full Frame f/1.8 market, the FF f/1.4 market (or f/2.8 zoom) market, and then finally medium format. I honestly think that $250 for the 1″ sensors and $400 for APS-C f/1.8 will give more than enough quality to sustain a number of camera makers in an evolutionary sense. However, at $500-$800, the RX100-esque market remains a niche. If anything, recent experience has shown that prototyping new cameras is getting easier, especially without a mirror box, so I honestly think that the market for FF and APS-C cameras will remain sustainable for the foreseeable future. Honestly, the biggest threat would be some kind of synthetic aperture technology where a camera array can reliably compute bokeh without using large physical apertures. One thing people neglect to remember, not everyone took photos to the extent they do now. The day of the 24-48 photos a year is over. It was a far less frequent site for you to see a camera in everyone’s hand. Yes the point and shoot is being replaced by the phone. But the phone has opened up a vast love of photography, and the people who have gotten the bug. Buy better cameras. Learn the craft, even if not schooled as we where. And yes it is taking the money out of Pros pockets, and yes the camera stocks have fallen. But it is back to the levels they where before the digital state of awe took over. I don’t see the camera going away, and I don’t see only Pros using them. I see a wave of people who would have assumed they could never take up photography, jumping in with gusto. So take that phone use it.. You will see, you need a better camera, and want to find the joy in seeing things you never thought you could see or capture. Are Apple the market leader by volume in smartphone sales? According to IDC, Samsung sold 23.7, Apple 11.7% in Q4 of 2014. (Reference http://www.idc.com/prodserv/smartphone-market-share.jsp) As a smartphone platform, Android not Apple is the leader. I find it amazing that your perspective is bent so much towards Apple, though it’s not the only article that shows such bias. Don’t get me wrong, I agree with the main thrust of your article. Just the facts and figures you have used to support it make unfortunate statements, statements that make the article read a little like a Apple Inc. press release. Yes, photography is dominated by smartphones, which in turn is dominated by the Android platform. It’s a shame your otherwise excellent article has such bias. i don’t agree Completly with Mr. Laforet. It’s clear that these Little Cameras and Apps are going better and better and they are powerfull but at the same Time users are unable to use it for real. We, my lover and i, have started to become Professional Photographers cause we can do what the Gadget (Camera Phone) Users can’t do. We will be very well received by our customers because we take care of them and this not superficially. The Best Technology can not replace the people behind them who can deal with it. a very good and informative article. I agree that phones will be more used than point and shoot cameras, it will be a huge competitive market, but I also think that the DSLR will not fully vanquish from the market… they will stay superior towards the phone. There are some great photographers out there who have proven that pictures can be done with any tool, some of them won awards with pictures they have taken with an iphone. a camera is just a tool either its is a phone or a dslr, the person behind it who creates the picture. I personally consider to switch to a mirror less camera at some point but will still keep a dslr. Somewhere the market has to find some normality again. If smartphones take over the prosumer’s world then so be it. But physical size with electronics will always be (due to Moore’s law) a factor in power. The DSLR of the future should in fact harness all the possibilities of iPhones and still have room for more power, more features and whatnot. You cannot cram everything in a pocket sized system. In twenty years time my latest and greatest iPhone will surpass current i7 processors or even 50mp. But it’s still going to be subordinate to the more hefty more expensive 200mp, binocular 3D holo, nano lightweight crystal DSLR or mirrorless. Years ago I never saw a lot of people walking around with SLR’s. With the recent flood of affordable DSLR a lot of people bought into it without knowing how much real commitment it takes. It’s not for everyone – never had been. Like back in the day when Kodak handed out cameras to every kid in America. How many of them ended up as pro photographers? Did the value of photography suddenly drop? What most of us don’t realize is that technology is not stagnant. It grows, and with every new development it needs room to breath. In some lab somewhere something revolutionary is going to get developed and your big ‘bodies’ will be able to utilize it to full effect. If it were up to me, people would be MADE, yes, MADE, to buy real cameras, whether they like it or not, to MAKE them care about quality and not be so freaking lazy. Yes, smartphones should come without cameras, they should be MADE to do it that way, and people should be MADE to use a real camera or never take a photograph at all ever again. Thanks Vincent! Been talking about it for awhile on my blog, TechGarage. As someone from the photo industry (we were distributors for some major camera accessories brands in Malaysia), the emergence of the iPhone 4s saw a drop in searches for dslr on Google. That was already the death knell for cameras. I think that the camera industry is adjusting as quickly as they can while making as much current profit as possible. Everyone recognizes that phones have nearly wiped out the p&s digital market. And everyone is moving up the chain, trying to sell higher-margin gear: boutique cameras and high-end APS-C and full-frame, along with more, new lenses. But the overall camera market seems to be flat at best, and increased high-margin competition will bring prices (and margins) down even for the high end. In fact we see that now with unprecedentedly low prices on full-frame cameras. Markets change, and when people find new ways to accomplish things (no one needs milk deliveries or an operator to make calls for them any more), or find alternatives that offer more/better/convenient features overall they’ll give up a beloved product even if it’s superior in some ways. The watch industry got decimated with the advent of cellphones, and the new smartwatches are barely watches – the Apple watch is a watch like the iPhone is a phone. I think digital cameras will remain a sizable niche, but we’ll probably lose half the cameramakers out there (my guess includes Pentax, Ricoh/Pentax, Olympus-or-Panasonic, and perhaps Hasselblad), with a couple of tiny stragglers struggling (white-label manufacturers, Leica). Everyone else will sell to more moneyed customers (Canon may go into MF) and will find ways to integrate better with the instant sharing generation. Before seeing what my Galaxy Note 4 makes, I would not have believed. Now yes, absolutely. Night shots, almost perfect, with very little noise. Normal pictures with great clarity. I have a D7100 to compare. I don’t agree at all with this. In theory there’s some interesting point and ideas to think about. I personally think this was the real intention of Vincent. I keep seeing good projects having success and they always have good and professional photos. Bad photos always give a bad image. There are many challenging issues than smartphones taking over pro cameras. Mirrorless and compact cameras (with superzooms) and lot of functions (good ones) also small and cheap cameras doing fantastic footage with near quality for 5 or 10% of the cost. This will be the today challenges we face. I’m not afraid of a competitor that use a smartphone for stills or video. A better tool will always do a better job, with the same idea and in the same hands of course, a better pro with less gear will be better, but with better gear much better will be. Yes, you hit it on the nail. It is just so much easier to travel with your iPhone and take pictures with it, it has become accepted and non obtrusive and ‘un-noticeable’. If I pull out my pro camera in certain places it immediately calls attention to yourself. Convenience and lower cosgt have always beaten quality in the photographic marketplace. Plus most amateurs cannot even see noise, grain, colour shifts, lack of true resolution, colour fringing, distortions, or rank bad composition and technique. … what is more, technology changes things. Not so many centuries ago to be a scribe, with the ability to read and write, put you in a strong position compared to the average illiterate person of the day. Nowadays almost everyone in the developed world can read and wrigte tolerably well, but few have put in the work to enable them to write a gripping novel or a uyseful work of non-fiction. Typos – in the paragraph above the NX1: “and amateurs who wanted to emulated the “pros” on the top of said pyramid.”. Should be “emulates”. BTW a lot of people have heard of the NX1, in the amateur and semi/low end pro world. It’s getting a decent amount of buzz on the you tube/ blog world. But none of that is what I wanted to say. What I wanted to say is that Thom Hogan has been touting the fact that camera companies need to improve workflow for a long time. He’s saying it, your saying, the PJs with laptops in backpacks with 4G modems are saying it why aren’t the manufacturers listening? They seem to be spending some money of developing see in the dark sensors and image processors why aren’t they doing so for software (firmware)? They presumably had to engage with new suppliers and new employers when digital came in to survive, else some other camera company would and they’d go bust. Why are they not doing so now? Mr LaForet you’re still a Canon Ambassador since they are still spending on R&D why aren’t they spending on the *right* R&D? Another stop of DR would be nice, but a means to deal with thousands of files, meta data and the like would rock – and keep them more relevant. Will something similar like this happen with video? Okay, I just don’t get it. Maybe I’m dumb. Maybe I am just misunderstanding you. The consumer market is dead. I don’t think anyone could argue otherwise. We had a brief decade or so period where average Joe pixel peeper wanted the best of the best. It was a perfect storm really, sensor technology was advancing at breakneck speed and everyone had to copy their photos to their computer where they got to view them at 100% magnification and obsess all day on forums. That’s done. Before that era most people used cheap point and shoot cameras with slow zoom lenses that produced soft images totally wasting the potential of 35mm film but it didn’t matter because they only ever saw their photos as 4×6 prints so they were “good enough”. Now we’ve come full circle and Instagram and Facebook are the new 4X6 prints, so once again relatively crappy cameras are “good enough”. And phone camera’s actually are good enough for a lot of things outside of selfies and snapshots. News stills and video are obvious examples. But did newspaper photos ever need to be high resolution shots from high end cameras in the first place? So then the obvious question is if the consumer camera market is dead (and it is, no doubt about it) it stands to reason that contrary to what you say above, camera makers will have to re-focus and cater to the professional market which is the only “safe” market they have left. And it seems to be exactly what they are doing, with new pro lenses from Olympus, Panasonic, Sony, purging of low end product lines, higher end bodies, lengthening product life cycles. The only way they could stop catering to the professional/enthusiast market at this point is if they somehow wrestled away the smartphone market from Apple. That doesn’t seem to likely, does it? That’s why I am so confused my your suggestion that camera makers will stop catering to the professional market. It seems to me that it is their only option. I’m not even sure R&D will slow down that much. Sony of course makes most of the sensors in smartphones. The research going into those sensors is now actually “trickling-up” to the high end. Back lit CMOS, for instance. Please explain why sales of lenses are still increasing overall if my iPhone 6 is the “perfect” camera. I use my iPhone everyday to take “snaps” and rarely I upload these snaps to Flickr. They are totally inferior to the shots I have on flickr from my Canon 6D the difference is like night & day. Secondly investment into new cameras carries on apace from Sony, Olympus, Canon, Nikon et al with Olympus finally profitable again this quarter. The point & shoot camera is dead, DSRLs & CSCs the verdict is far from certain. DSLR’s will be fine. I started with DSLR and moved to film and never looked back. I have a freezer full of film and there’s all kinds of types and styles available to choose from even some even BELOW 1(yes just one) ISO despite the whole “film is dead” mantra you hear about. mom & pop don’t shoot film so there’s no need for film centers on every corner but plenty of serious hobbiest and pro’s are using it and the same will go for DSLR’s.